If you are a true cinema lover, then being on vacation cannot change that! And what better experience than enjoying a good movie under the starry sky of Mykonos, listening to the breeze running through the leaves. If this is music to your ears, then the open air cinema Cine Manto is the place to be. Located right in the center of cosmopolitan Mykonos town, Cine Manto promises nights that will stay with you, even when you are no longer on the island. Tall trees and discreet warm lighting along with smiley faces welcoming you inside create an ideal scenario for those who are looking for an alternative relaxing evening on the island! The screenings begin in May and last until the end of September with 2 screenings daily. 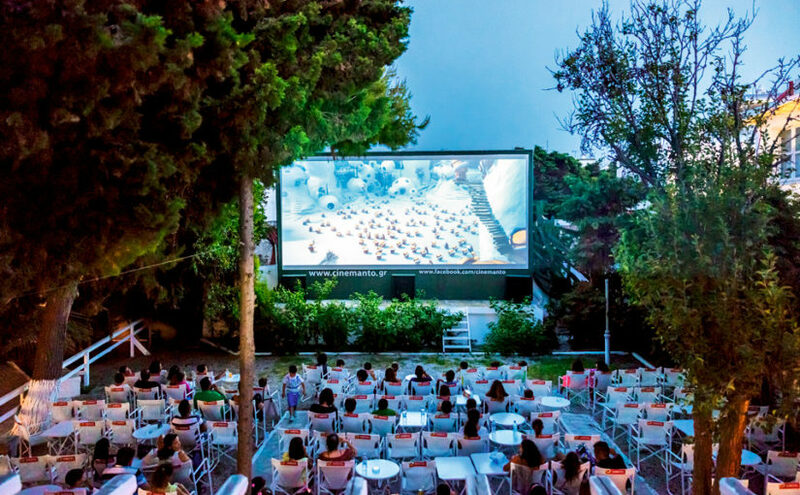 Open air cinemas are deeply into Greek modern culture, and if it's your first time experiencing that, you will immediately understand the reason why this stands!